Did you know that Kiss Your Mate Day is a real holiday?? Who wouldn’t want to celebrate their love with a kiss… or two!? 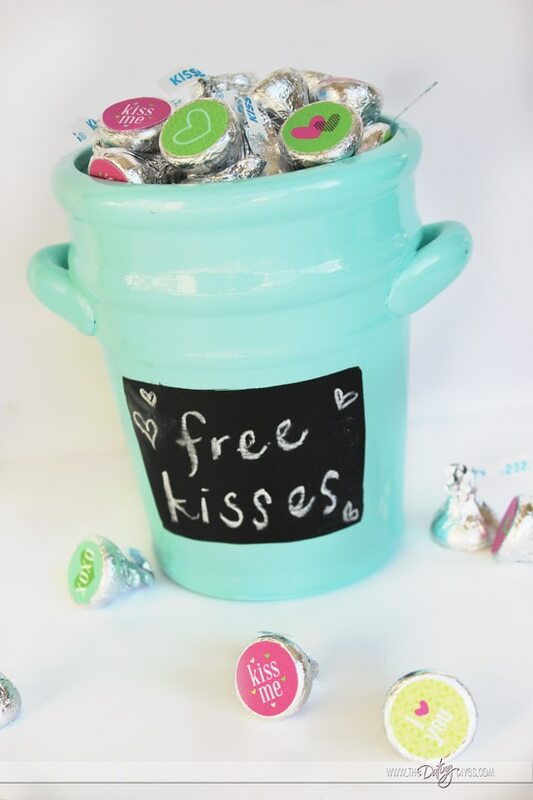 Or how about a whole day full of kisses!!!! The official holiday is April 28th… but hey! Don’t limit yourself. 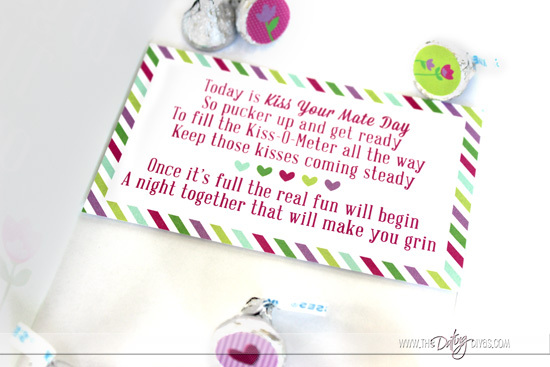 You can make any day Kiss Your Mate Day! The only thing you really have to prep is your kisses. Which is a breeze! 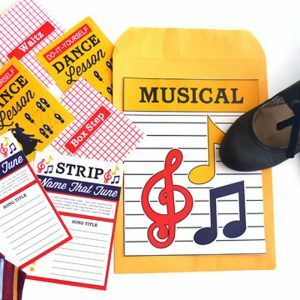 I just bought some sticker paper and printed my stickers directly onto my sticker paper. Then I used a cute little circle punch to cut them out. It made the job super easy! 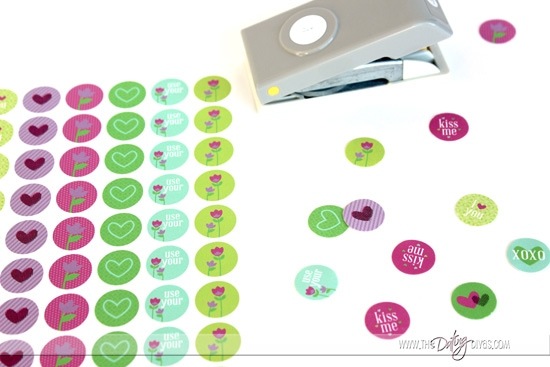 After printing and cutting out the stickers, just stick them on the bottom of your kisses! It adds a little special somethin’ to the whole day. 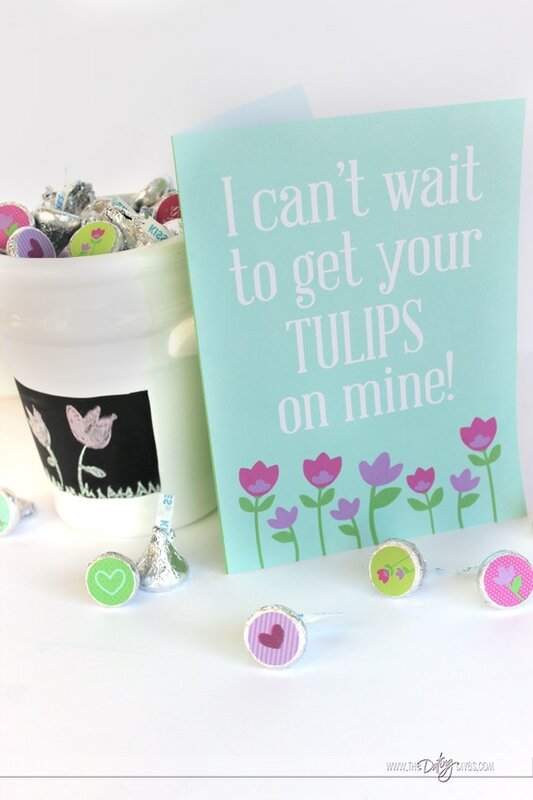 I can’t wait to get your TULIPS on mine!! 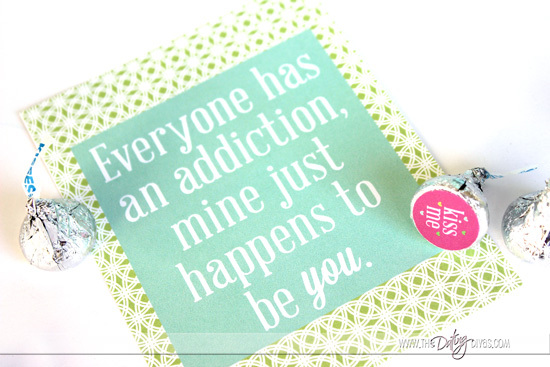 This card has a cute little insert already made for you that explains what the day is all about. 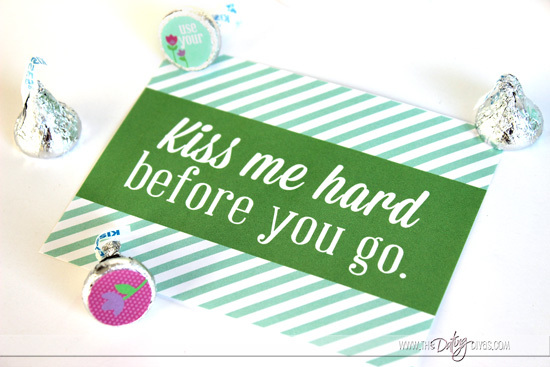 The card also has a fun little Kiss-O-Meter on the back to help your spouse keep track of kisses! 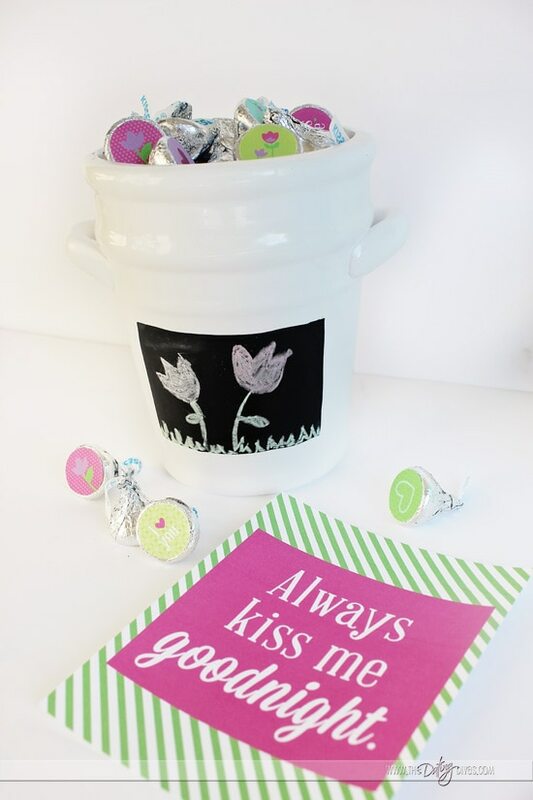 This will encourage both of you to give lots of kisses all day long! 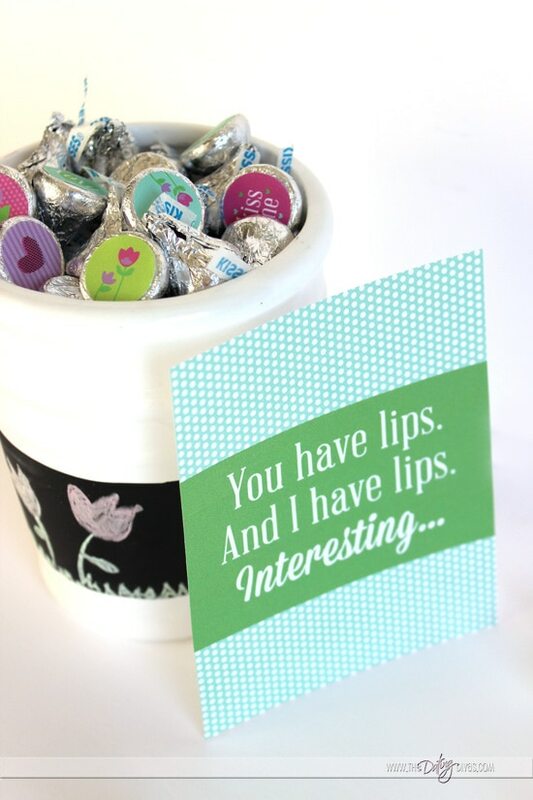 And if you’re competitive like I am, you’ll want to make sure that you fill that Kiss-O-Meter right up! 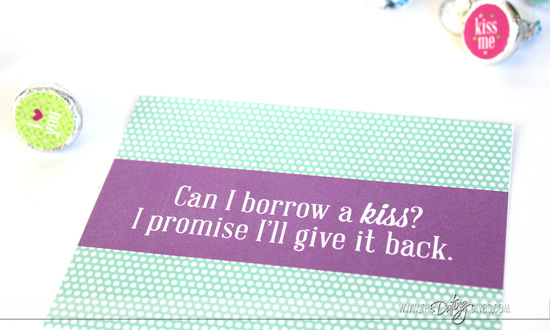 The printables include a bunch of fun cards with quotes about kissing… I love how the cards can correspond to different parts of the day. This card would be great for first thing in the morning. 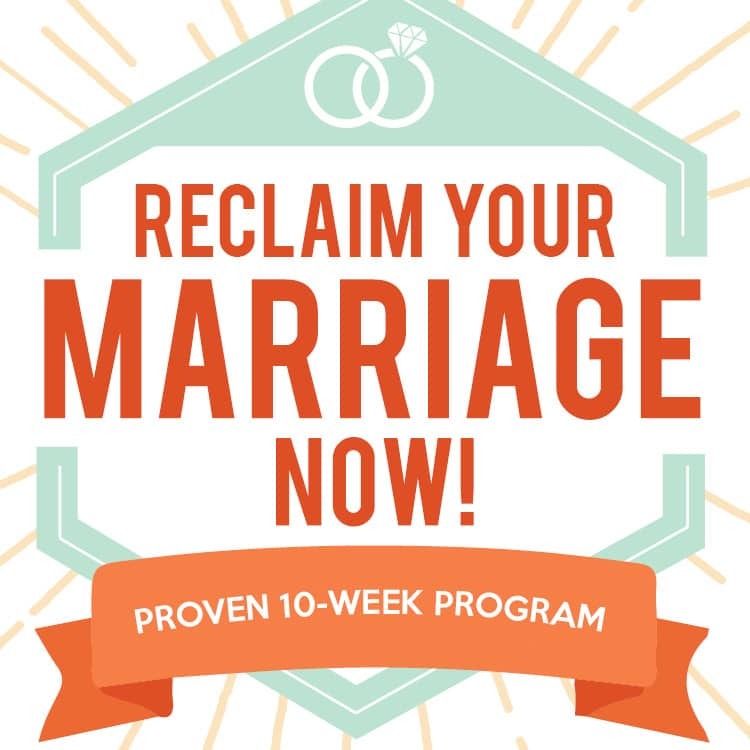 As you are headed to bed, invite your spouse to kiss you goodnight! You can leave trails of chocolate leading to the cards, what a great find, right?? 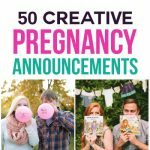 Or you can just place the cards where you know your spouse will find them for a special surprise. 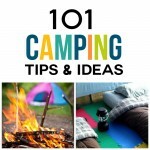 Are you looking for some more quick and easy ideas that will make the sparks fly?? Check out Becca’s Night of Surprises. 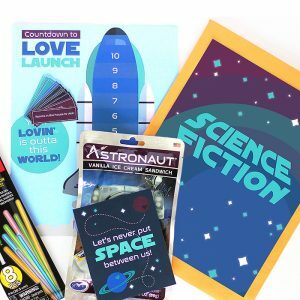 It’s another super easy date idea to put together, but super fun! 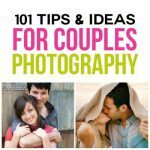 Or if you just want some more quick and easy ideas to show your spouse some love here is a round up of 50 Simple & Quick Romance Tips. Check out Becca's Night of Surprises. 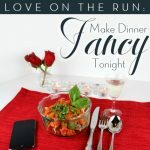 It's another super easy date idea to put together, but super fun! Hi Stasie!! 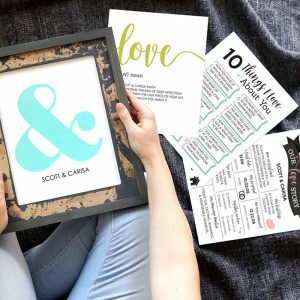 You just click on the link at the bottom of the post that says “FREE Kiss Your Mate Day Printables!” Hope you love them! Where’s the “A Matching Game with No Wrong Answers” printout that was shown in the picture on the Facebook post?